Enter The Zimmerman Law Firm Refuse to Lose Challenge! 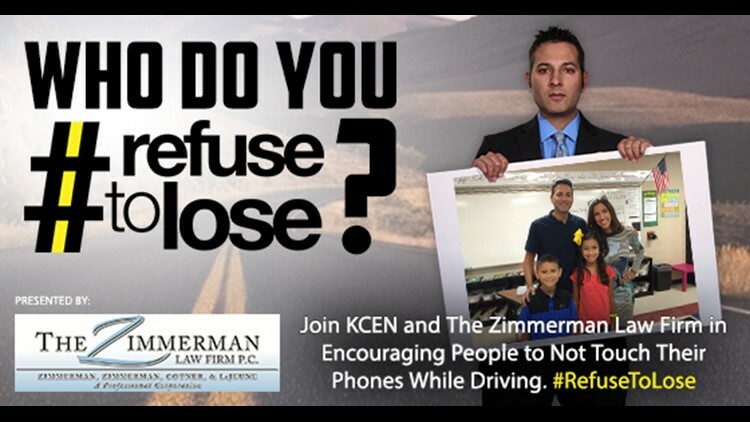 If your photo is chosen you’ll be the face of #RefuseToLose and be featured on KCEN. Tell us who you refuse to lose by uploading a photo to our gallery.